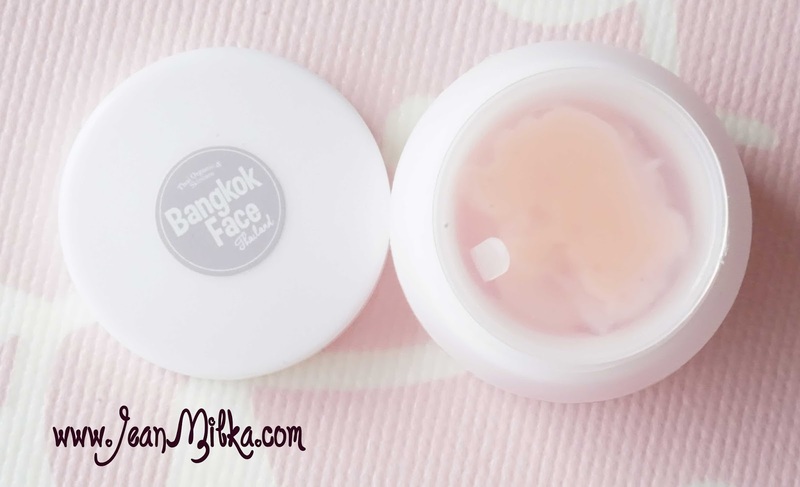 Today I would like to review one of Thailand skin care product that is very popular right now among Indonesian Market. 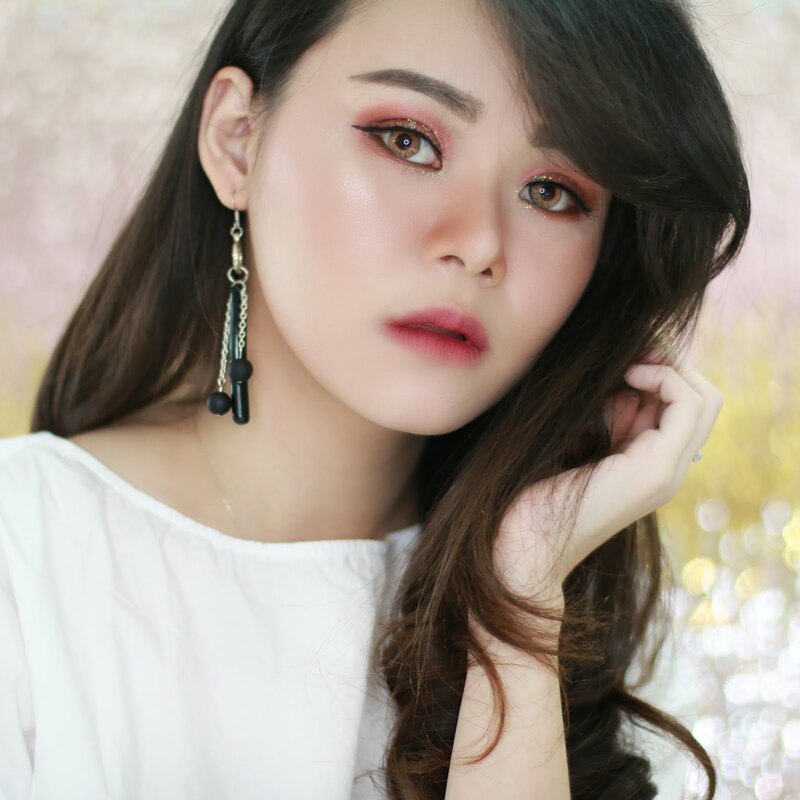 Right now, Thailand skin care become more popular in Indonesia. 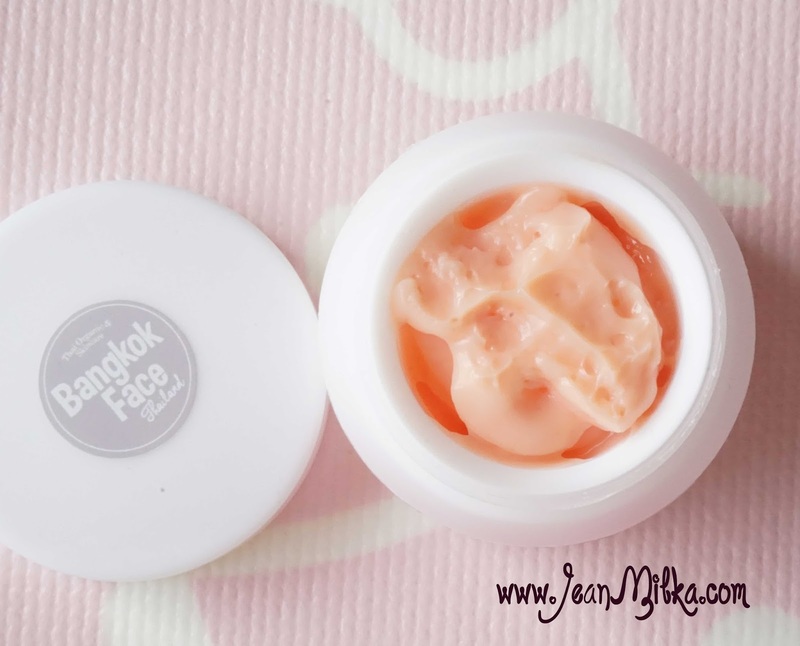 Actually I am quite skeptic about Thailand skin care product. But after trying this two product around my jaw line for one week, I decided to apply it all over my face. Around last month, Kiss Indonesia sending me this products. If you follow me on Instagram, I mention that I was quite satisfied with the result. 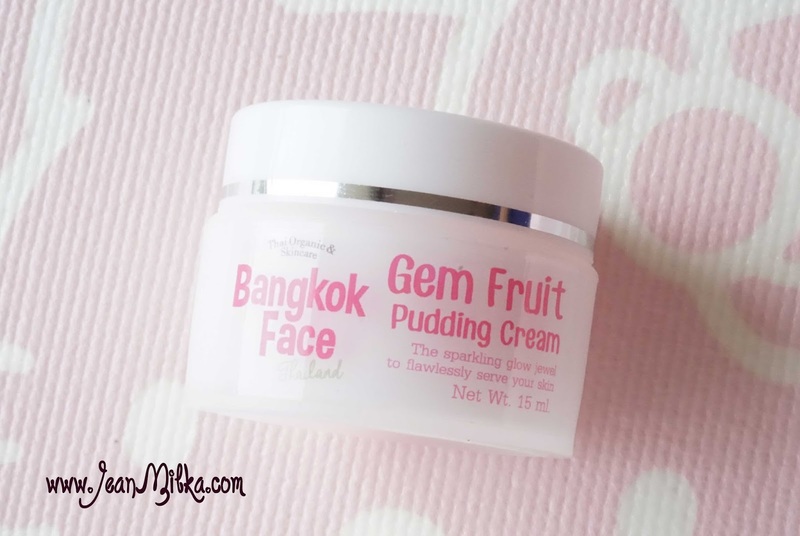 On this post, I will review about Gem Fruit Pudding cream and Lotus Sparkling Mask from Bangkok Face Thailand. Let's now jump to the Gem Fruit Pudding Cream review first. First product is Gem Fruit Pudding Cream. This is basically a day and night cream that act as moisturizer for your skin care routine. Gem Fruit from Bangkok Face Thailand comes in a white - pink box. The packaging is simple but very detail in term of explain the product. You can see from the picture bellow that the packaging is mumbling about Pomegranate which is main ingredients of this product and what can it done for your skin. I will just ignore what it claims and explain more about what it does to my skin. Gem Fruit comes in white plastic jar, kinda like frosted jar. I don't like the packaging, somehow it looks cheap. Amount of this product is only enough for 1 to 1,5 months. For me it's not worth the price if we only consider about amount of products. Just like the name which is Gem Fruit Pudding Cream, the texture is exactly mix of pudding and cream texture. This is the reason why I used it up so fast. I have been using Gem Fruit day and night for 1 month and I have used up more than half of that product. I need more product of this compare to another cream product. It doesn't feel thick on your skin, and blend on your skin quite easy. But I am not sure why I need more product to cover my face. I think because of the texture is quite thick even tho it absorb to your skin and doesn't leave thick feelings. The color is soft peach color and it smells like vanilla cream. What it Claims? What I say? This product claims as lifting, whitening, and pore minimizing product. I don't feel any sign of that result. If lifting here means remove your death skin and make your skin looks brighter, I still can say yes to this statements. Basically Gem Fruit surprised me with the power to remove acne scars. For me the reason why I feel it works as whitening product is because it remove my dark spot. About the "pore minimizing" power, in my opinion pore minimizing product take times to give you visible result. For this one, I can't tell you anything about that. It might works to minimize your pores, but it might only my suggestion. It always hard for me to confirm about "pore minimizing" power from any skin care product except Benefit Porefessional *check my review here* that give instant result. 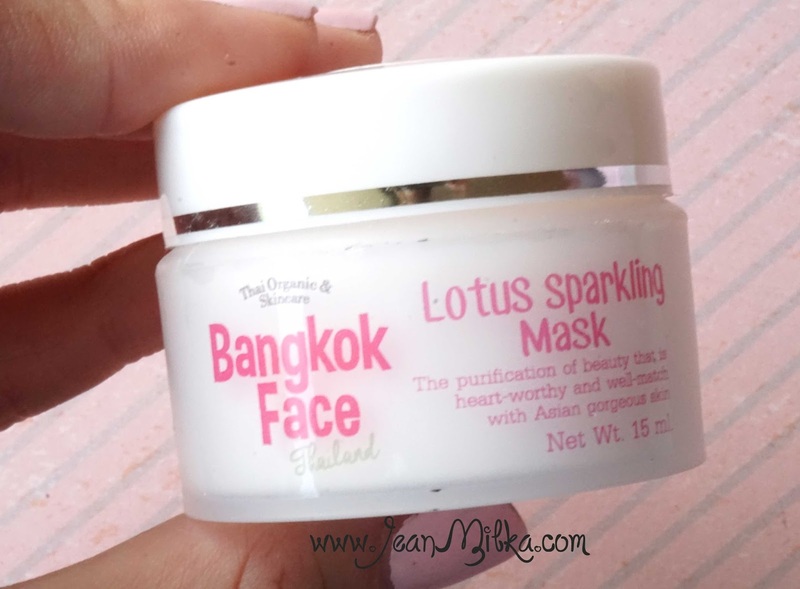 Next review is another product from Bangkok Face which is Lotus Sparkling Mask. Lotus Sparkling mask is basically a sleeping pack mask. You can apply this product all over your face 3 times a week and washing it off on the next day. The packaging is exactly same with Gem Fruit, except for the name and the picture. 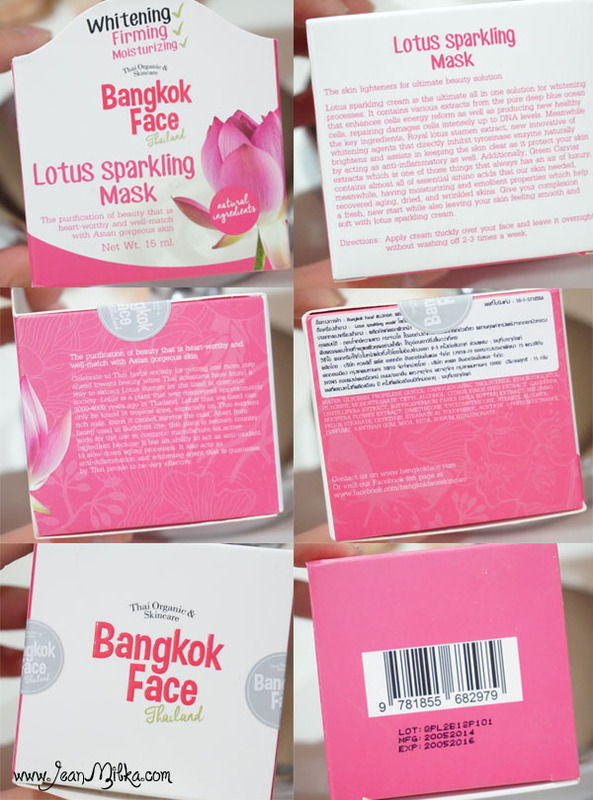 Gem Fruit have pomegranate picture on the packaging while Lotus Sparkling Mask use Lotus flower picture. It also comes in same jar design, the only different is the name and product detail. I don't like the fact that it loos really similar, makes me grab wrong product most of the time. 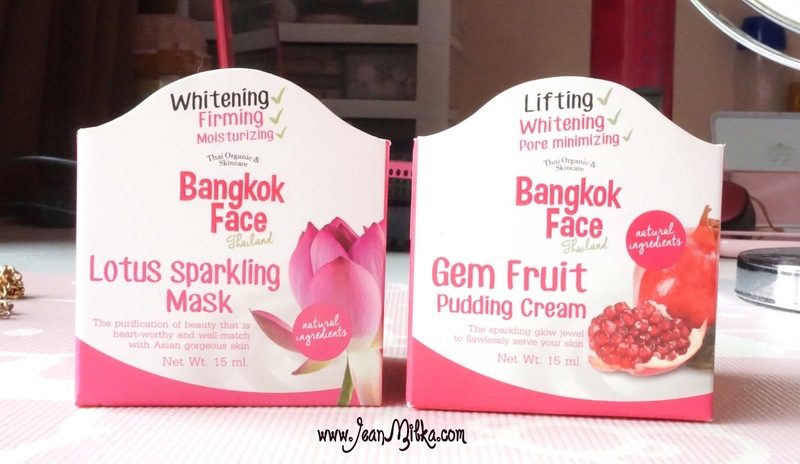 Lotus Sparkling Mask is more creamy compare to Gem Fruit which is more to pudding texture. The color is soft orange with sweet scents. It takes time to settle to your skin compare to Gem Fruit. I found out that the next day when I wash it off, I can feel slick feeling on my skin. This product claims to give you whitening, firming, and moisturizing skin. I can't justice this statement. I don't feel any whitening or firming effect. But talk about moisturizing, I feel it's good enough. My skin type is oily, so I can't say if it will give you enough moist if your skin is quite dry. Lotus extract on this product supposed to slow down aging processes. It always nice to use anti aging product since your young, but I don't see any result about that, I also don't feel any firming effect to my skin. You can use this product for 2 - 3 times a week. 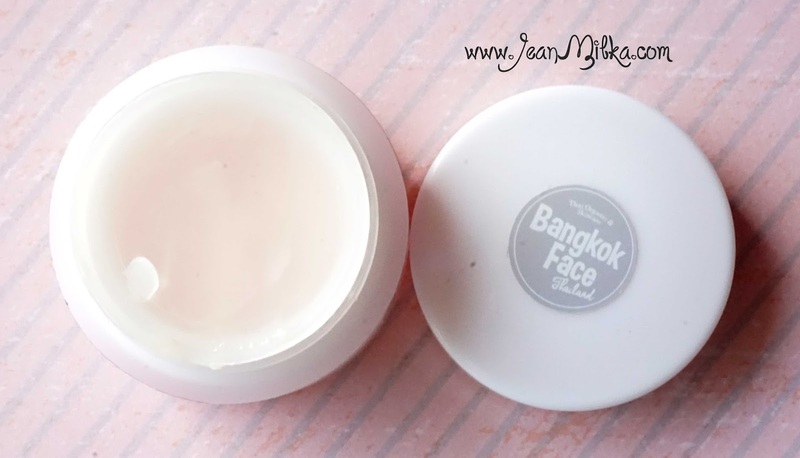 It suggest on the packaging that you need to apply this product thickly over your face, I don't like greasy or thick feeling on my skin so I only apply it on thin layers. That probobly the reason why I don't see any result from this product. This picture below is the result after I use Gem Fruit and Lotus Sparkling Mask for 2 weeks. As you can see from this picture that it does great job in minimize my acne scars. During acne season, when new acne just attack my face, It also help as spot treatment. But I don't see that this product completely remove my dark spot after 1 month. And please don't be fooled by the picture and think that It will brighten up your face. Cause it might cause of the light. But I can said that the acne scar or even new acne can control by this product. As you can see from before picture, I still have inflamed acne but it almost gone (even tho it still leave dark spot) after 2 weeks. That is all for my post.. if you plan to try this product, make sure to test it on your jaw line or use is as dark spot treatment first to see if it is suit your skin or not. Readers : anyone have tried this product ? 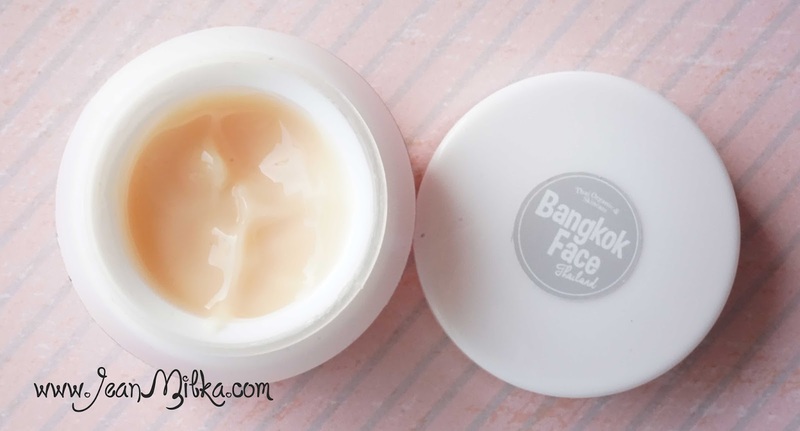 have you ever try Thailand skin care product? 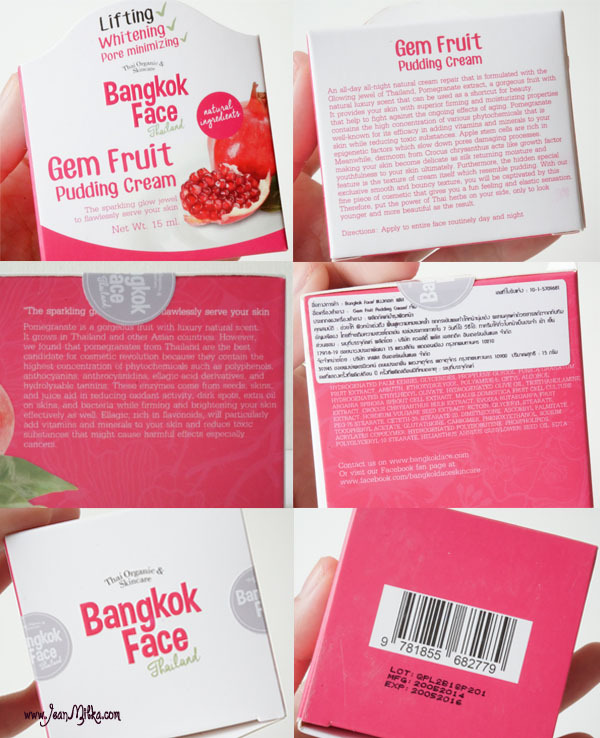 14 komentar on "Gem Fruit and Lotus Sparkling Mask by Bangkok Face Thailand"
eh tapi gue kira lo muka aslinya ga ada jerawat / bekasnya lho ci. Iya di aku sich manjur banget..
Cocok n bagus di kamu ya jean.. di aki jg kalemin jeraawat jd segar wjhnya..
Hallo Ci Ellen... Makasih yah Ci... masih kalah sama FOTD cici lah.. Cici eye make up nya jago banget.. Love it..
Iya nich lagi In banget.... Di aku sih cocok, tapi saran aku sebelum coba skin care apapun, cobain dl di jaw line kamu atau jerawat yang lagi meradang, jadi bisa di lihat dulu hasilnya sebelum di apply ke seluruh wajah..
no matter whether you might be trying in order to improve the way the skin looks Mask AND ALSO feel, an Dead Sea mud mask is usually sole of a Easiest methods to be able to do it. creating an skincare routine is actually always the switch factor for you to achieve good results, but choosing ones suitable items for your skin will be what determines whether ones routine will eventually benefit your current skin or not. 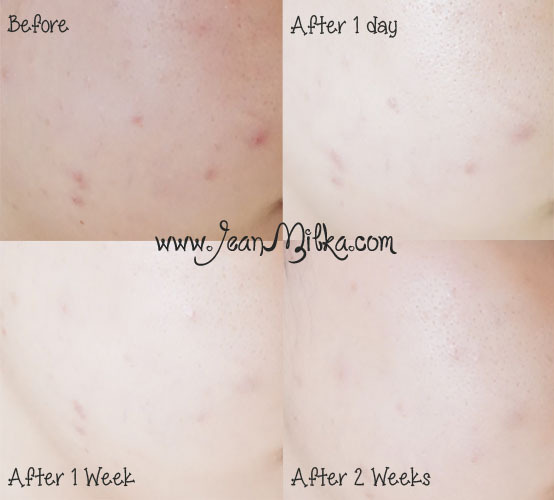 It feels acne scar and even new acne can be controlled by "Gem Fruit and Lotus Sparkling Mask" in just 2 weeks. Thanks for the information; I wish it would also work for the colder regions.